The countdown has started and we will soon be glued to the TV screaming at football players! 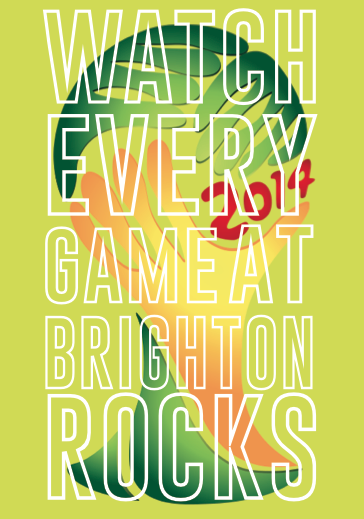 The 2014 World Cup starts on June 12 with the opening match between Brazil and Croatia and from then until the big finale we will be showing the matches at Brighton Rocks. We have already begun to stock up on interesting bottles of craft beers and the cellar is full of barrels! We’re planning a few special nights during this exciting period! © 2019 Brighton Rocks Bar.